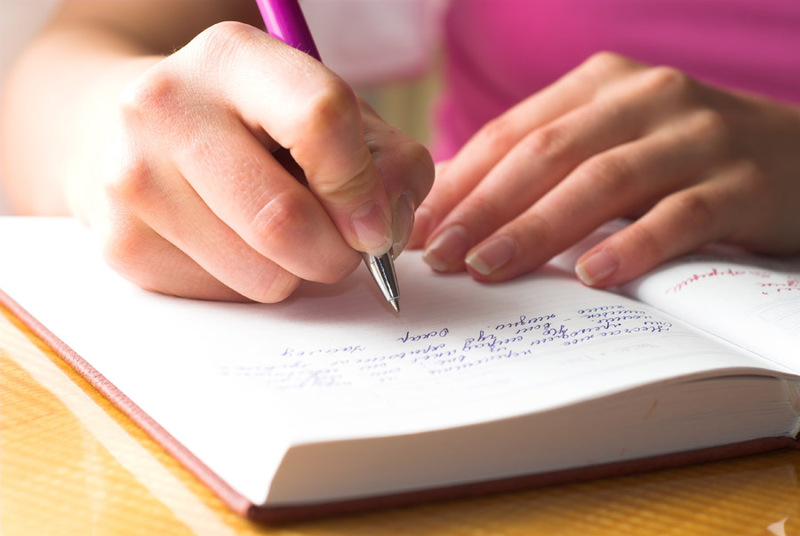 Keep a Journal or Diary – look at the patterns of your days, notice what repeats and in particular, look at the language you use to describe your life – it will contain some of your central metaphors. Each day write without editing or being too self-conscious and at the end of the week you can look back over seven entries and begin to see the patterns and the metaphors. Once you have months and even years to compare, bigger, deeper cycles will emerge. This will sharpen your skills with metaphor and pattern recognition in others, too. Self-modelling – Model how you do things well, how you think, how you make decisions, what the processes are by which you function. You can use this to break habits you feel are outmoded and to know intimately the resources you have to do things well. So when something comes to consciousness like “I'm always late for the train” or “Why am I irritated right now?” or “After all that worry, I did fine” or “ That's something I do well and enjoy doing” - jot it down and find time to ask yourself some Clean Questions to model your processes. This will increase your self-awareness, your capacity for mindfulness and will enrich all your Clean Language work. Listen to music or read poetry aloud – this is an exercise in deep listening, listening on many levels at once. Giving time to this every day will extend the boundaries of your listening so that you can appreciate the beauty; spot the patterns of the notes; the words; the rhymes; the rhythms; at the same time as identifying the metaphors in the poetry or lyrics. Meditate – you may already have a daily practise of meditation or the idea may seem quite alien to you. Meditation has many forms but, at its simplest, it is a mindfulness practice and brings many benefits, including access to our inner metaphor landscapes and an increased capacity for spacious focus. Also, finding time just to “be” in our busy lives helps us remain balanced. As I practise meditation daily and lead guided meditations for others, I have written a separate post as a guide for those who may not have tried this before. (See "Related Stories' below). Do a jigsaw – the process of assembling small pieces and watching the big picture emerge is a powerful metaphor for Clean Language work. It helps us to understand how much the big picture depends on intense focus on individual pieces and their locations. Read books and study grammar – Clean Language feels visual to me because of the development of symbols into metaphors and the creation of entire inner landscapes in imagery, BUT they everything is described in words. Reading daily keeps our brain involved with language and the more you understand about grammar, the better grasp you’ll have of the nuances involved in people’s expressions. “Eat shoots and leaves” by Lynne Truss is an excellent book for understanding the potential for grammar to mask hidden meanings. Paint, draw, experiment with art – like meditation, art can engage the intuitive part of ourselves, can encourage us to play, experiment and allow forms to emerge. When a drawing or painting or sculpture emerges it can reveal a great deal about our state of mind. Keeping these art experiments together allows us to look at them retrospectively, in the same way as the diary, so that patterns and changes become clear over time. This is a way of allowing metaphor to emerge without words and as a bonus it stimulates our creativity and unites our heads, hearts and hands. Asking yourself clean questions of the various symbols that appear can help you to develop your ideas too. Watch television or listen to the radio – and when you are doing so, listen and look out for symbols and metaphors. Observe the spaces and landscapes chosen for different effect and the impact of space in general. On chat shows, notice how clean (or not clean!) the questions are. On shows where problems are aired, apply the PRO model and try to spot binds. If no one’s around, listen to a sentence or two, turn the sound down and ask a clean question out loud. This is a particularly good idea if you are still learning the questions. Dream diary – have a book and pen beside your bed so that you can jot down any dreams you remember. Rather than trying to analyse a meaning, ask yourself some clean questions about them and see what emerges. Engaging with your dream life when you wake can mean that you will remember more dreams and gain greater insight over time. Apply Clean practise to everything. This list offers some ideas but there will be so many other aspects of our individual lives in which we can bring clean questions and principles to consciousness to understand more about ourselves and others. The more often we can do this, the more skilled we become and the more spacious our practice becomes. I'd love to hear any more ideas for activities which can hone our Clean Language and Symbolic Modelling skills. What do you do?